Welcome to the Summer 2017 edition of Imagine, the Star Wards Newsletter dedicated to our members! I do hope you are enjoying your summer! Like many at this time of year, I am just about getting back into the swing of things after a few weeks away. Now, normally I wouldn’t mention the words “summer holidays” on these pages as I am aware that many people on wards do not get a chance for a summer holiday. But then I bumped into a true star in Lee Davies, Ward Manager of the Springbank unit in Cambridgeshire, who told me about his wards camping expeditions! Amazing stuff, and included below. It also reminded me of “Club Endeavour” when staff and patients in 2008, at Highcroft Hospital in Birmingham, turned an outside area into a beach resort and had a ball! I doubt that everywhere can reproduce such ambitious and astounding events, but it does show just how creative Star Wards people are! If you have done something amazing on your ward this summer, don’t keep it to yourself. Tell us and we’ll tell the WORLD! > Sunny Pointless National Holidays! Here on planet Star Wards we are still adapting to Marion and Buddy stepping down from the big chair. As is our custom of appreciation, we did ask some of the great and good if they would like to give us a few thoughts on how the pocket genius has affected them, and, like the fluffy lovelies they are, they responded wonderfully. You can read what they said here. The ladies are much loved, and will always be remembered and even have a website now so you can stay in touch! 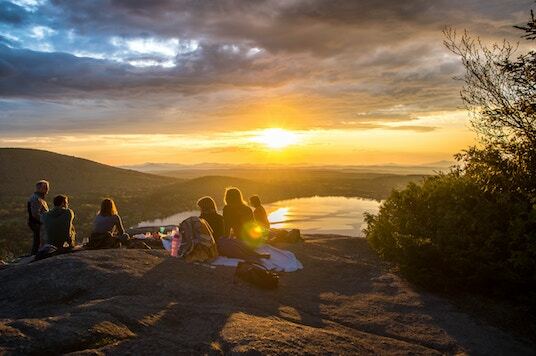 So, wherever you are and however your summer is shaping up, we wish you love and joy, and hope that the suns shines on you as you really, really deserve it. As ever, thank you for all you do. As Geoff says, we hope the sun is shining where you are. Even if it’s a bit cloudy, going outside for a bit of fun or relaxation can be a breath of fresh air for patients and staff alike, be that a walk with the visiting PAT Dog, or sports-themed activity. What better way to enjoy the great outdoors and get closer to nature than camping? 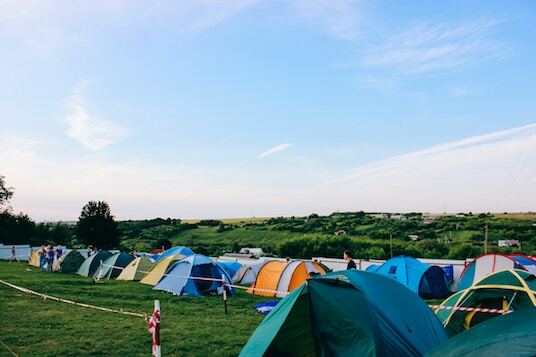 You don’t need to have the adventurous talents of Bear Grylls for your ward’s outing – although you may need a little camping experience (or at least a reliable tent!) and a song or two for around the camp fire. Cambridgeshire and Peterborough NHS Trust (@CPFT_NHS) shared a Twitter ‘throwback’ (nice phrase!) of a camping trip involving patients and staff from Springbank Ward (Cambridge). 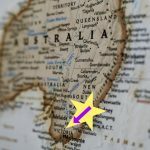 Their blog with the catchy title ‘Out and About’, talks about their ward camping outing where they built their own tents and shared time together away from the ward. Here’s a lovely patient comment about the trip “Overall it was a fantastic experience, that I feel lucky to be part of”. 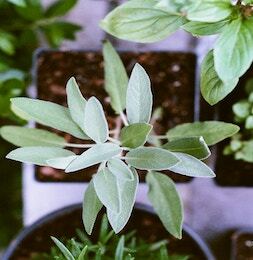 Your ward will be a hive of activity, at a time when wards can be busy places to be, finding time for therapeutic activities can seem like a big task. No need to be daunted! Here are a few examples of activities that you can try, that are easy to start and fun to do! Arr ye landlubbers, hoist the main brace and dig out the eye patch. 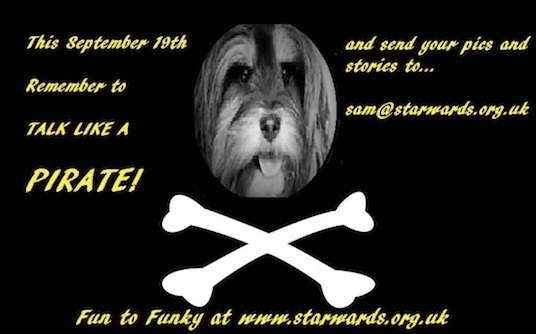 Best photo or story to Star Wards will even get a pirate themed thank you! Just e-mail scurvy Sam at [email protected] with your tales and pics of your ward’s daring do. We always love to see hear about how patients and staff have inspired each other to do great things. We have a special mention in this newsletter for Erin a nurse who went the extra mile and wrote a book all about her personal struggles. 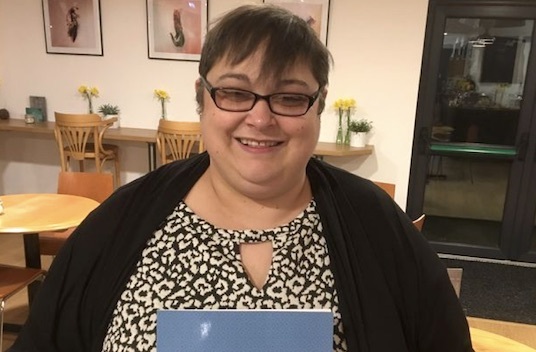 Encouraged by the brilliant nursing staff at Fulbourn where she was a patient, she written and self- published a collection of her writings and drawings called the ‘dark side of me’ which is all about her experiences with Borderline Personality Disorder. 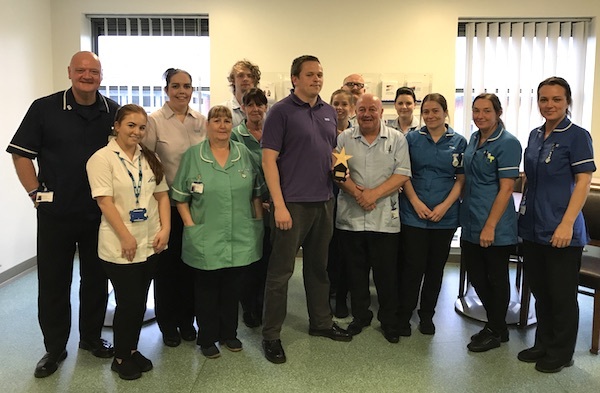 Our latest Full Monty Award achievers are Marsden Ward and Roker Ward in Sunderland! Nic and Sam visited the ward to present them with their very much deserved Full Monty Award and in a word… wow! The staff were proud, and rightly so, to showcase all their hard work in to adopting, adapting and developing the 75 Star Ward ideas. 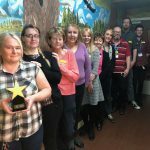 As we’re sure you can tell by now, we love sharing stories about inspirational Star Wards journeys! 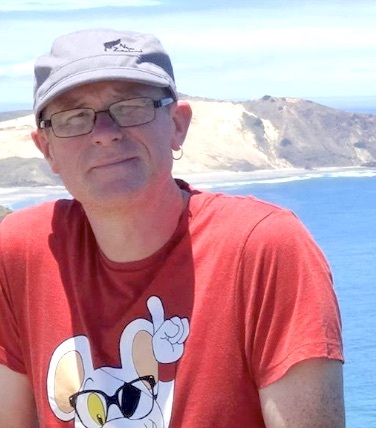 In this blog we hear from Daniel Hughes, an Activities Facilitator based at Ward 2, Northumberland, Tyne and Wear NHS Foundation Trust. 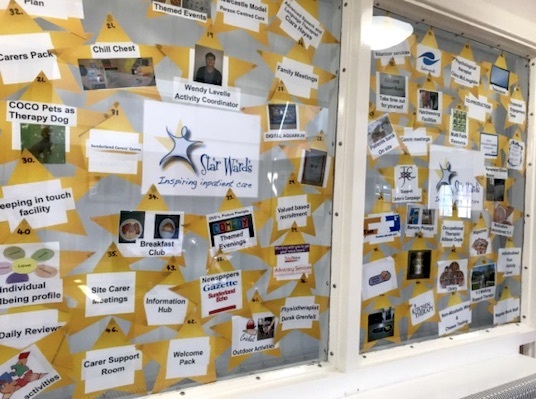 Not only are the ward now Full Monty achievers, they’re also about to commence ‘Ward Stars’ – our recognition and achievement scheme for Health Care Assistants and other support staff. Coral Ward (Langley Green, Crawley) have been taking ‘Word From The Wards’ up a notch! They shared on twitter their ‘You Said..We Did’ board which was full of positive changes that have been made on their ward. All the suggestions were made by patients, and staff have given their all to make sure tweaks, changes and improvements can be made. 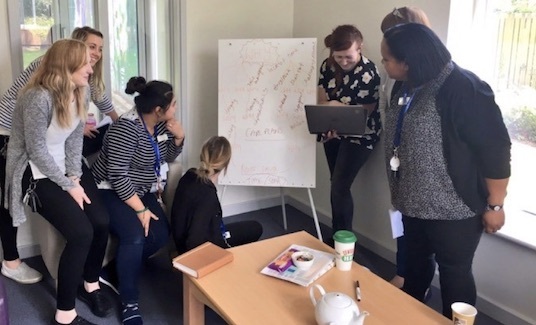 To add to this fab feedback process, Langley Green have published their latest weekly blog all about what is happening on their wards in West Sussex. 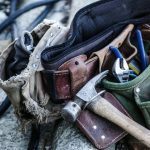 Their last blog is all about Care Plans, a quote from their blog shows their commitment to improvement. 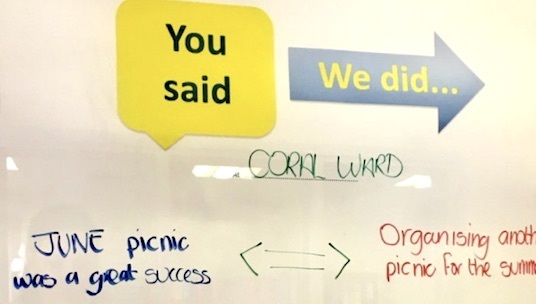 We have seen “You said – We did” boards on other wards and they are FAB – As you know, here at Star Wards we have an active belief in nicking good ideas. Why not nick this or the Blog idea and create ones for your ward or hospital? On Friday 23rd June one of the least Pointless National Holiday was celebrated with #BringYourDogToWorkDay was the top trending hashtag on Twitter. At Star Wards, we think every day is “bring your dog to work day”! Our latest website Animal Magic is proof of this!! 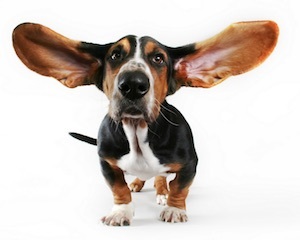 Do YOU have any stores of hounds in the hospital, Westie’s on the wards or Schnauzer’s in your service? Let us know. 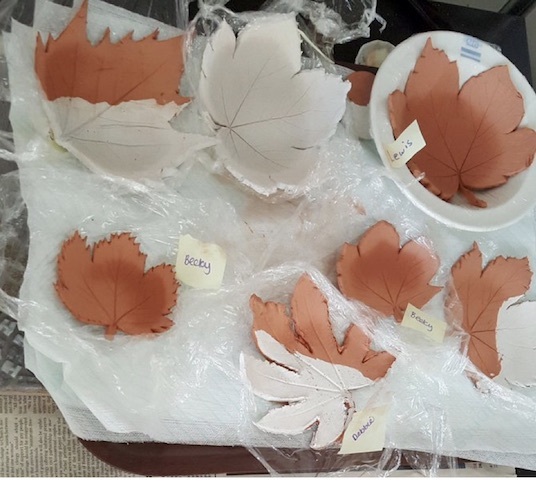 Shepherd House of Sussex Partnership Trust (@shepherdhouse2) shared with us on Twitter all about the brilliantly crafty and creative clay leaf moulds made in their creative group. 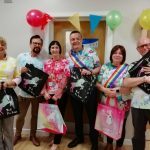 The Bright Charity (including Star Wards) AGM happened on 22nd June. 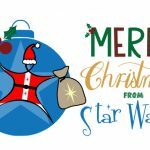 Geoff recently shared the CEO report for 2016 with everyone in the Star Wards Facebook group. Please join us if you’re not already a member! 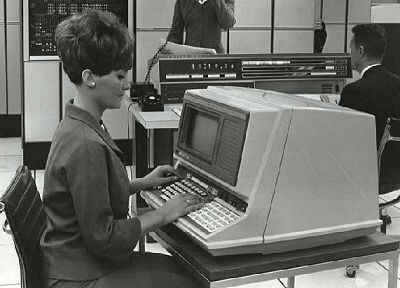 One thing that’s undeniable about technology is that it develops and changes at a rapid pace! It’s sometimes hard to keep up, isn’t it? The same goes for web design and how people ‘surf the world-wide-web’ (is that phrase even used nowadays or are we still stuck in the early 2000’s??). We know that Star Wards members are now accessing our online resources via all kinds of devices, including smart phones and tablets. Because of this, Nic (our Inpatient Care Project Manager) has totally redesigned, simplified, modernised, and beautified the Star Wards site to make it device-friendly and to keep Google happy. We also wanted to make it easier to find key information and help new members get going on their project. We think he’s done a great job! So enjoy having a look around! As with anything new, however, there may be a few teething problems here and there. If you spot any, do please give us a nudge and we’ll happily and gratefully fix them. 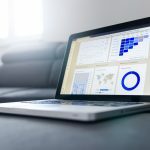 Your presentation, ‘Accentuate the Positive’ … was a significant contribution in helping to work towards eliminating restrictive practice around Australia. Your presentation showcased innovative practices, help forge ideas and add to policy directions based on research, clinical practice and inclusion of Lived Experience. The introduction to Star Wards and it’s philosophy of positive appreciation is inspiring and providing hope that there is an effective model in working towards the Elimination of Restrictive Practice throughout Australia. And what did Geoff present? Well, mostly it was about the Star Wards ethos of ward staff and patients being brilliant and loads of examples of YOUR fab, inspiring work. Needless to say, there were great examples from staff and patients in Australia who are truly “ Star Wardsy”! If you are one of our friends from outside the UK, do say hi and let us know what you are up to. In June we also had the chance to talk about Marvellous care with the excellent North West Learning Disabilities Nurses conference. The irrepressible and inspirational Dave Williams was our host and we met some truly inspirational people. Dave had helped us put together Marvellous and reminded us once again that there are superb people out there who not only have oodles of skill and knowledge, but are only too happy to share it. And finally, in July we spoke at the “Team Leaders and Ward Managers – Leading innovation at the point of care.” Conference organised by the Mental Health & Learning Disability Nurse Directors’ and Leads’ National Forum ( I know – long title! – lets call it MHLDND). This is where we met the heroic Lee Davies from Cambridge and also listened to the amazing Toni Gent from Berrywood Hospital. Toni is an amazing woman who recovered from a near fatal car crash to become a respected and inspirational leader in her hospital. Once again, in our travels, we come away with a deeper respect for all that you do and even more examples of people like you doing great things, in the most difficult of times. All we can do is say thank you. If you are one of our friends from outside the UK, do say ‘hi’ and let us know what you are up to! We think your non-mental-health colleagues will be really interested in this unique book on caring for emotionally vulnerable patients in general wards. 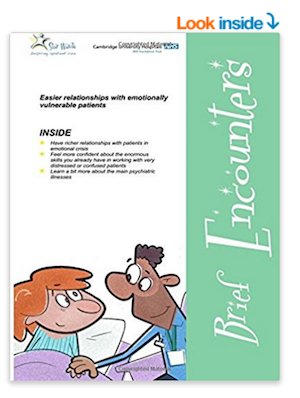 ‘Brief Encounters’ has been around for a few years in PDF form, but now (by popular demand) we’ve made it available in good ol’ fashioned paperback. You and your colleagues can grab it now from Amazon. You may also want to get a few copies for your student nurses as it provides a great overview of the main mental health conditions, as well as a handy guide on therapeutic interactions. We love this feature; it allows our wonderful current (or potential!) members allows you to ask ‘Buddy’ a question! Buddy’s paws are ready to tap away and provide you with an answer to those questions you have about Star Wards on your ward. If we cannot find an answer for you, we may be able to find you a fellow Star Wards member that may well have an answer. Buddy recently received a question on our Facebook page from a lovely lady who was interested in a therapy which we thought others would find interesting. Geoff gave Buddy a helping hand with a little help from Twitter followers. Hi everyone, a quick question. I am interested in laughter yoga and wondered if you have offered this in a ward environment or know anyone who has? 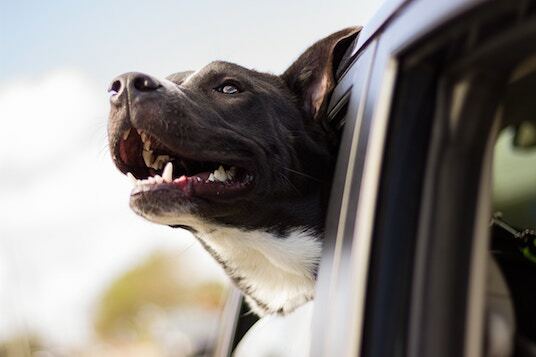 Thank you for your great question – and before you ask, dogs do laugh. You really get some good laughs living with Marion, I’m glad to say. Did you know she’s really funny? I digress. 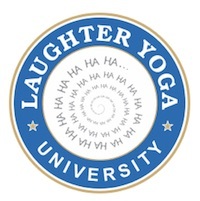 Laughter yoga, or “Hasyayoga” is a practice involving prolonged voluntary laughter. It was developed and made popular by Indian physician Madan Kataria, who started it in 1995 after running an early morning “laughter group” with people in a Mumbai park. Later, a more formal version was created and popularized as “Laughter Clubs”. The concept rapidly spread, and as of 2011, there were more than 8,000 Laughter Clubs in 100 countries. Each group is run by a “Laugh Captain” and operates independently. And, if it’s not enough, Laughter Yoga is now being practiced in companies, old age homes, schools, colleges, fitness centers, community centers, prisons, hospitals etc. This topic is so interesting and sounds such fun, as well as being therapeutic, that we may well try and make a feature of it in a future newsletter. If anyone else out there in Star Wards land is running a Laughter Club, do let us know.